Since first launching its new Apple Music subscription streaming service for users last June, and bringing it to China in September, Apple has been slowly bringing it to more countries behind the scenes. Today, Turkey is the latest to get access as the service quietly launches for users in the country. Local blog macReports got word from Apple about the official launch and the company’s local website in the country is also now advertising the service. 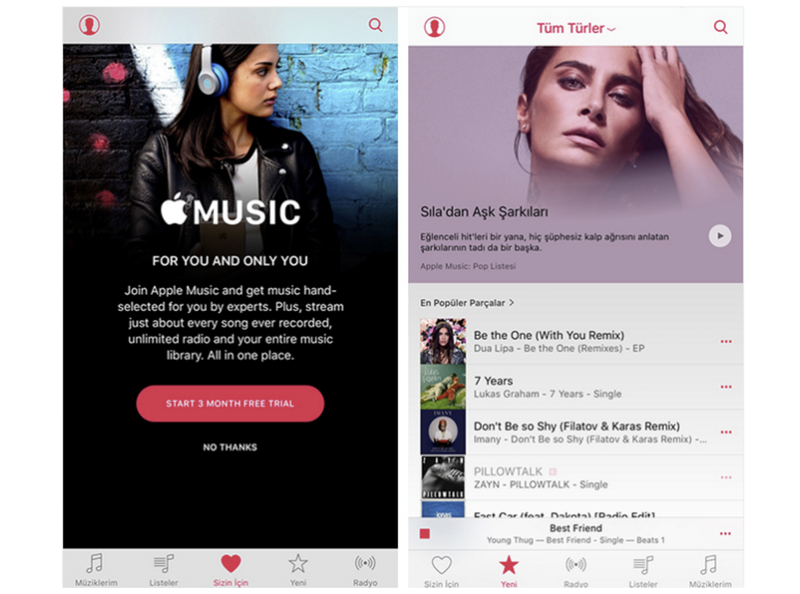 Apple Music in Turkey is available for 9.99 TL per month, or 14.99 TL for a family plan with the usual 3-month free trial available. That’s approximately $3 USD for the single user plan compared to the $9.99/month Apple charges users in the US. To accompany the launch in the country, as noted by macReports, Apple has curated content from loca Turkish artists including Demet Akalın, Gülşen, Teoman, Funda Arar, Ceza, Kaan Tangöze, Göksel, Buray, Merve Özbey, Halil Sezai, Koray Avcı, Ayşe Hatun Önal, Gülben Ergen, Enbe Orkestrası, Fazıl Say, Edis, Deniz Seki, Güliz Ayla and Sıla. Apple has a website that tracks country availability for Apple Music, but Turkey hasn’t yet been added and some countries listed have yet to get access to Apple Music or all features of the service. It’s not clear if any other locations might be gaining access to Apple Music today with Turkey, but let us know in the comments if you notice the service launching in your country.